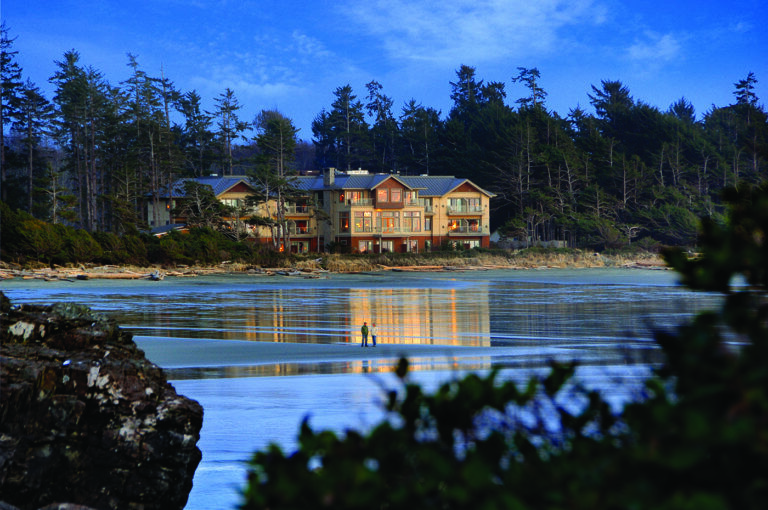 The Resort’s location on the edge of Cox Bay, offers breathtaking ocean views from the wild and beautiful west coast that is unique to Vancouver Island. Equally spectacular is the impressive interior architecture of the Great Room. The open concept enables uninterrupted views of nature while the modern furnishings, wood accents and fireplace features provide the warmth and feeling of a living room setting. 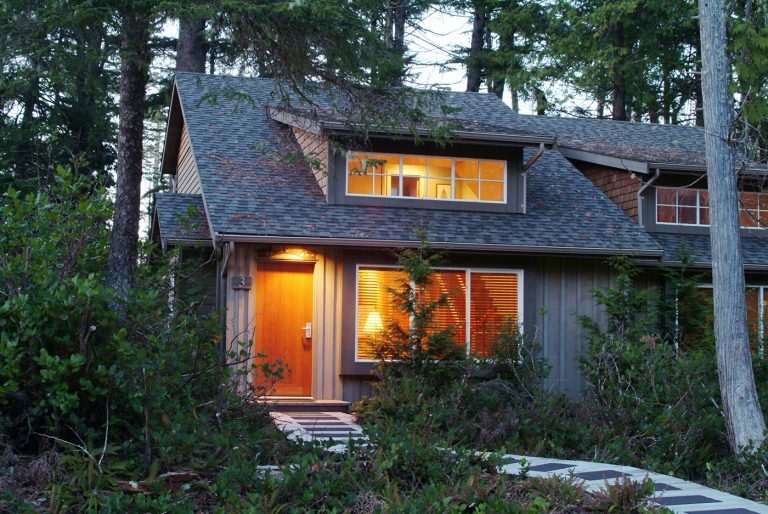 Whether you choose to curl up in front of the massive fireplace with a book or sit by the window and watch the surfers in the pounding waves of Cox Bay, this space was designed as an extension to your guest room and we welcome you to experience its warm, inviting setting, just for you! Our dining experience mirrors the comfort and warmth of the Great Room, a place to sit and taste the delectable flavours of our chef’s innovative cuisine while watching a magnificent sunset. 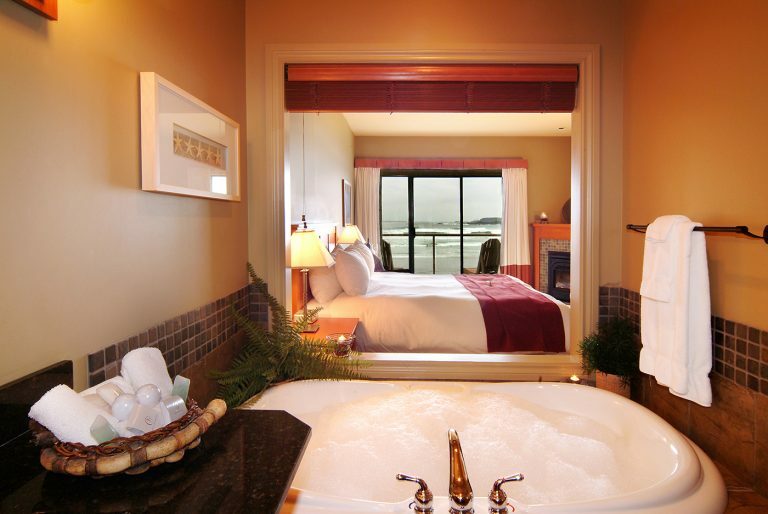 Our attentive staff will tend to your needs while allowing you to take in the magic of what Tofino and west coast are all about. 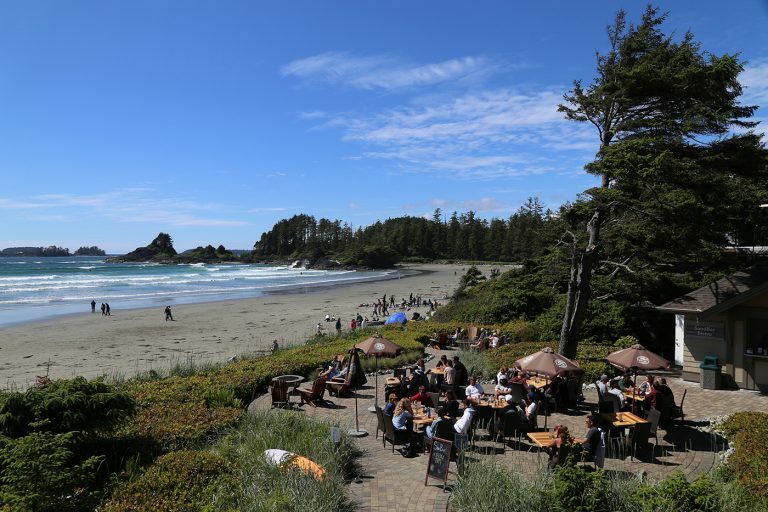 Embracing the rich west coast surroundings is our award-winning cuisine that tastefully brings together farm-fresh ingredients and seafood bought daily direct from the fisherman. With emphasis placed on the local and sustainable products, Chef will forage the forest for mushrooms or visit the area farms, taking great care in selecting his produce, to bring a truly distinctive west coast experience to the dinner plate. An extension of the Lodge’s Great Room is our SandBar Bistro- an outdoor, beachside patio offering a casual table or to-go food service and licensed beverages with an incredible sunset! Enjoy the SandBar during summer months! Open for breakfast, lunch, après surf & dinner. Reservations recommended. Visit our Surf Club, Marine Adventures and The Great Room.